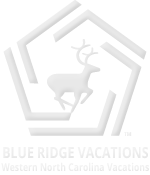 Blue Ridge Vacations Lodging and Accommodations Guide for the Western North Carolina High Country of Blowing Rock and Boone NC features Bed and Breakfasts, Cabin Rentals, Condo Rentals, Cottage Rentals, Corporate Retreats and Vacation Rentals for Western North Carolina Vacations in the North Carolina Blue Ridge Mountains. The Iron Mountain Inn Bed and Breakfast is located on Iron Mountain, over 2,400 feet high, adjacent to Watauga Lake, the Cherokee National Forest and Appalachian Trail in Northeastern Tennessee, between Bristol TN and Boone NC. Perfect for a romantic getaway. Our mountain scenery is spectacular. Full hot breakfast. WiFi. These two Ashe County North Carolina Blue Ridge Mountain cabin rentals feature vaulted covered porches with 400 square feet of outdoor living area for dining, relaxing, hot tubbing and conversation. Try the 2-bedroom, 2-bath Rendezvous at the River or the 3-bedroom, 3-bath Rendezvous, Too. 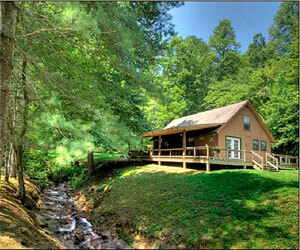 Both Ashe County NC cabin rentals are located at the New River, in West Jefferson, NC. Breathtaking Views of the Blue Ridge Mountains. The Cabin at Kilkelly’s is the perfect romantic mountain getaway. Located off the Blue Ridge Parkway, at Bamboo Gap, this log cabin rental features 2 master bedrooms, private baths, King beds, stone fireplace, hot tub, game room, large screen TV/DVDs, and WiFi. Sleeps 4 adults. Experience the tranquility and hospitality of the High Country with Foscoe Realty Rentals. 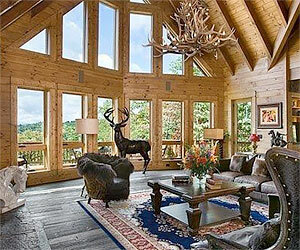 With several log cabins to choose from in the Lakes Community, Foscoe Realty Rentals luxurious cabins features spectacular views and convenient proximity to Boone, Banner Elk and Blowing Rock. Near Hawksnest Ski Resort! 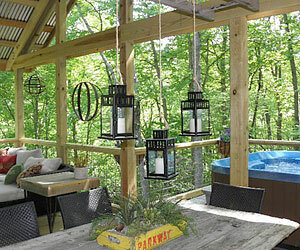 Many cabin rentals include hot tubs, fireplaces, and decks to enjoy your beautiful view! Log Cabin Rentals Featuring Hot tubs, Fireplaces, Campfire pits, Hiking Tails, Fishing, Creek-side, Mountain-Views. 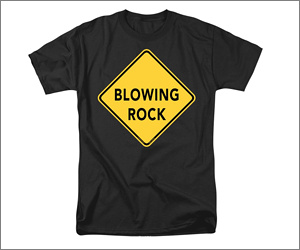 Located in The Great Smoky Mountains of Bryson City and Cherokee, North Carolina. 19 unique NC cabins, chalets, cottages, and log homes to choose from. 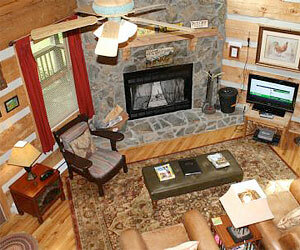 This log cabin rental sleeps from 1 to 10 people and reunions of up to 100 guests! 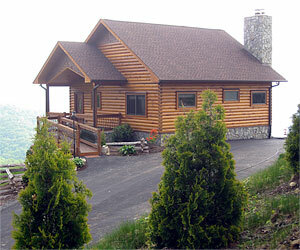 Leatherwood Mountains features over 40 privately owned Cabin Rentals. Enjoy the amenities offered: restaurant, fishing, swimming pool, horseback riding, and tennis courts. Vacation with your horse and explore over 100 miles of trails, two fully equipped barns with showers and 60 stalls, and equine events during the year. Luxury Condominiums and Townhomes in the High Country’s premier resort community, ECHOTA. 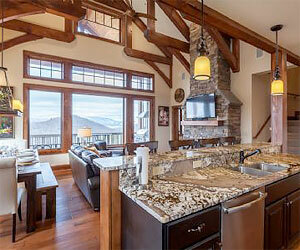 Fully equipped, these luxury homes feature fireplaces and decks to enjoy the spectacular Grandfather Mountain views! 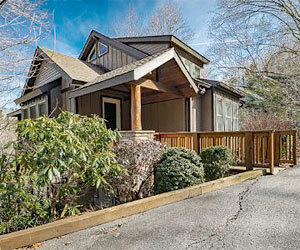 All homes are centrally located to Boone, Banner Elk and Blowing Rock! Amenities include a four season indoor pool and spa, a fitness center, fishing, river access and grand clubhouse! Two bedroom/two bath Hawks Peak, Hawks Peak South, and Hawks Peak West Condo Rentals. Covered decks, gas log fireplaces and thoughtful design make these condos a great choice for a weekend, a week or a season. Located on Seven Devils, minutes from dining, shopping, golf, skiing and area attractions. Guests enjoy full use tennis courts, hiking trails and a fitness center. Discounts for monthly stays! Lake front cottage rental on Watauga Lake, in Eastern Tennessee, offers lodging and accommodations near Boone NC and Bristol TN/VA. 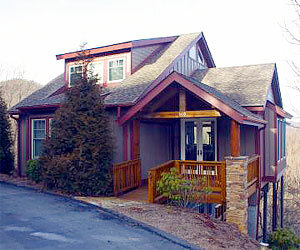 Watauga Lake Front Cottage Rental has three bedrooms each with en suite bathrooms. The Blue Bathroom has a whirlpool tub for two with romantic lighting and a separate steam shower for two. 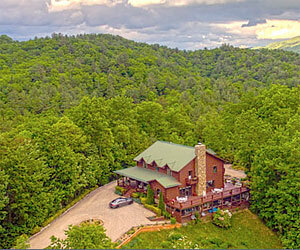 A Leatherwood Mountains features over 40 privately owned Boone NC Cabins. Enjoy the amenities offered: restaurant, fishing, swimming pool, horseback riding, and tennis courts. Vacation with your horse and explore over 100 miles of trails, two fully equipped barns with showers and 60 stalls, and equine events during the year. 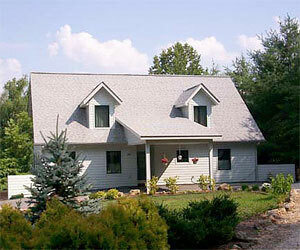 Foscoe Vacation Rentals manages numerous privately owned vacation homes in Foscoe/Seven Devils. Central to Banner Elk, Blowing Rock, and Boone NC, our proximity offers guests a wonderful location within minutes of skiing, hiking, fishing, shopping and fine dining. Wonderful amenities and a variety of options, including log cabins, vacation homes, resort condominiums, town homes and inn rooms.